Conditions started out good and firm but the weather deteriorated quickly. Sloppy (sealed) main track beginning with race 3 and the G2 San Clemente remained on turf (condition: good, won by late runner Prize Exhibit). Race 2 was a 5f turf sprint and was captured by a patient runner. All other turf races switched to the wet main track, which seemed to play fair. Four wins for jockey Santiago Gonzalez. Flavien Prat booted home a pair. James Cassidy and John Sadler both saddled two winners and Gonzalez was the pilot of choice for both trainers. 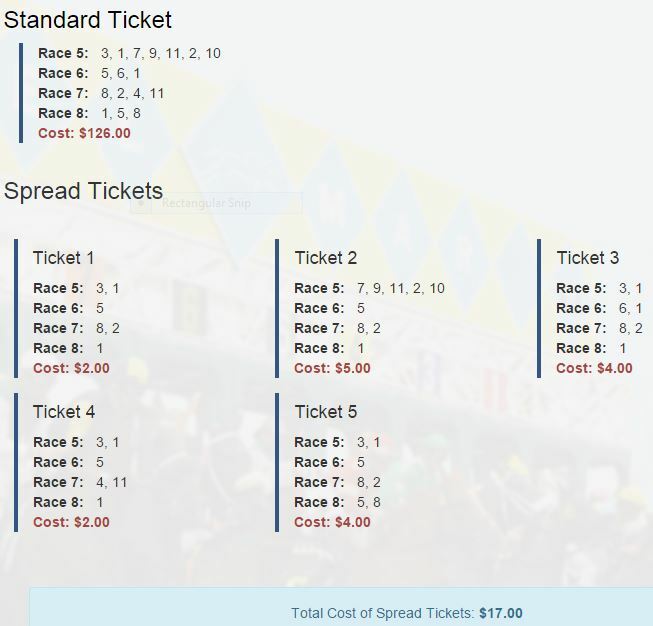 Sunday’s suggested Early Pick 3 tickets from Del Mar yielded two Primary winners (Sweet Profit, Codacious) and one Secondary winner (Toomanytomatoes). The winning 8-1-5 combination returned $121.80. 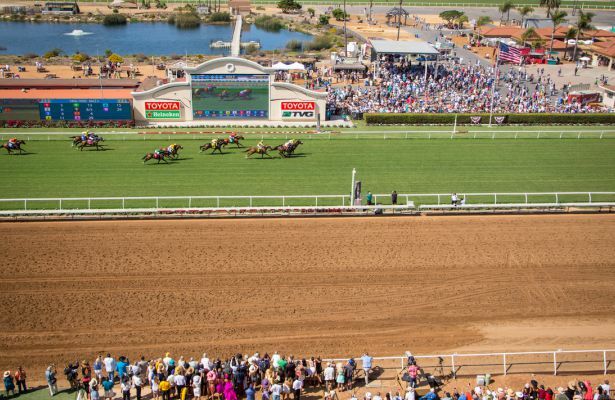 Upcoming full cards: Del Mar weekends (July 25-26). *** Every full card includes suggested Early Pick 4, Pick 5, Pick 6, and Late Pick 4 spread tickets.